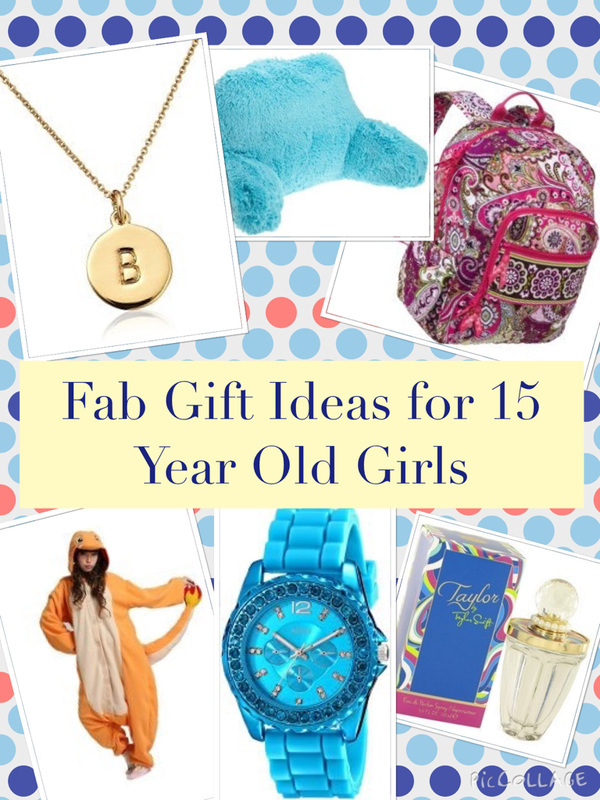 Are you stuck for ideas of gifts for a 16 year old girl? Have absolutely no idea what to buy? 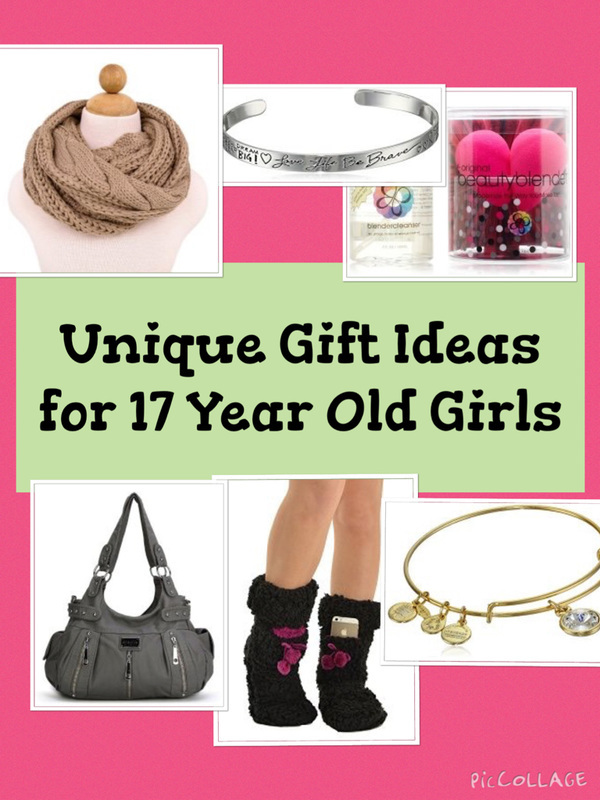 This article has 20 specific gift ideas and tons of other ideas and suggestions of great gifts to buy 16 year old girls. ​When buying for a 16 year old girl it's worth considering what she spends the majority of her time doing. Many girls this age will be studying hard at school, so gifts that facilitate study can be winners. ​A 16 year old girl will generally enjoy spending time with her friends, so gifts such as a Starbucks or cinema voucher to spend on her friends is a cool idea. She may like to look good so beauty gifts, hair tools, jewelry, make up and other accessories are often very much appreciated. She may have hobbies such as sports and would love some new fitness or sports gear. Or she may love music and appreciate a music gift. Clothes, vouchers and money are other ideas to consider. 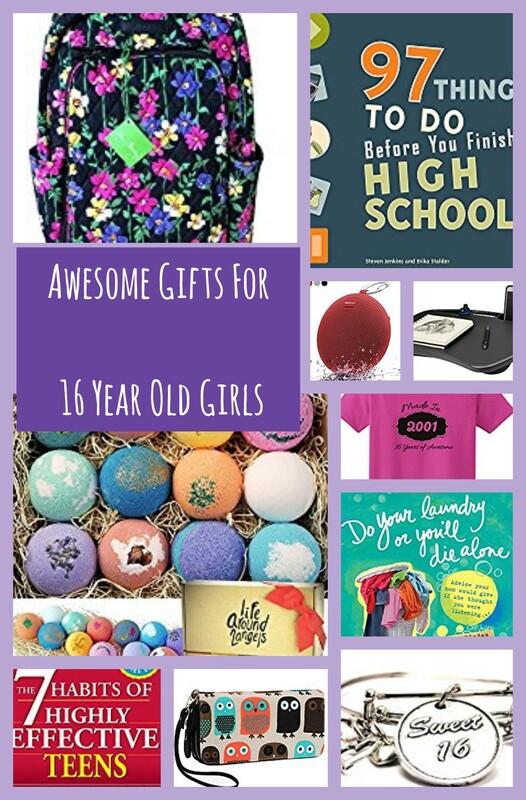 So read on for some inspiration of great gifts for a 16 year old girl. Lapdesks make great gifts for 16 year old students. She can sit on the couch or on the bed and do her work on her lap when she gets fed up of sitting at a desk. She could even use it if when she is are a passenger in a car. Lapdesks can also make a great heat barrier, protecting the user from the heat of the laptop. The lapdesk opposite has a removable pad and a handle and is fairly lightweight so she can easily transport it between rooms. The material is easy to clean. An idea to go with a lapdesk is a bed rest. A bed rest will support her back when she is sitting on the bed and looking at a laptop, tablet, reading or watching television. The bed rest features is easy to clean. There's a handle at the top so it can easily be carried between rooms. It is lightweight too. It is versatile and can be used in lots of different environments from a teen bedroom to a dorm room as she gets older. Use it on the couch or take it outdoors for a picnic. Coffee vouchers - why not get her a voucher to a coffee shop like Starbucks and costa coffee. She can then treat a couple of friends to a coffee and cake out. Sometimes a 16 year old girl will have all the gadgets and stuff that she needs and this can make it very difficult to know what to buy. If this is the case, consider an experience gift. It could be something very simple such as taking her out to dinner or to watch a show. Or you could take her and a friend for a pamper day or spa experience. There are lots of sporty and active experience days too. Ideas include go kart racing, a helicopter or a hot air balloon ride or horse riding. There are experience days where she could get made up and have a photoshoot afterwards. For some local experiences consider booking her a martial arts lesson or a make up lesson with a local beautician (which you get will obviously depend very much on her personality). Many 16 year old girls will enjoy wearing make up and they will like experimenting with different looks too. Some ideas for experimentation include eye shadow pallets with lots of different shades or perhaps some false eyelashes. There are some great pallets of more natural shades of make up and eyeshadows by Urban Decay. Look for the Urban Decay Naked range. Perfume and body sprays are also popular with this age group. Other beauty gifts include skin care sets, perfume, nail polish, a manicure or pedicure set or make up brushes. Or what about some beauty treatments such as a manicure, pedicure or facial. If she enjoys experimenting with her hair she can get hair extensions with different colors which she can clip in to give a completely different look without dyeing their hair. You can also get temporary hair spray dye which will change the colour of her hair temporarily. These gifts can make great stocking fillers at Christmas time. This clinique set contains lots of different products for a teen girl to try and it keeps in a cool butterfly themed bag. The products include a night moisturizer (15ml), mosturizing lotion (30ml), black high impact mascara (3.5ml), eye shadow duo and blushing poweder, long last lipstick, a costmetics bag and mini cosmetics bag. She can try the products and if she likes any of them, the next gift she may ask for is the full size. A 4D lash mascara varies to a standard mascara in that it aims to build voluminous eyelashes which are thick and long. Reviewers of the mascara love that it elongates lashes and separates them making look really full and long. Some compare the look to lash extensions. Most teen girls won't have a 4D silk fiber lash mascara in their make up bag so it's a great make up gift. The mascara is waterproof and smudgeproof and can be applied easily. Bath bombs make a cute gift. And this set of 12 come in lots of different scents. They smell lovely and are hand crafted for moisturizing baths with natural, non toxic ingredients. The quality natural ingredients keep you hydrated but will not leave your skin sticky. They have 12 uniquely crafted aroma for relaxation, you will love how you smell after bath. melon ball, shea & coconut and victorian rose. Many 16 year old girls would love perfume and the Ariana Grande perfume is a good choice. It smells amazing and comes in very nice bottle. There are many other perfumes that will obviously also work as a gift. Check out some bestselling fragrances. Buying clothes for 16 year old girls can be hard. She will have her own style so if she would like clothes it may be worth taking her on a shopping spree who buying her vouchers. Having said this there are some classic pieces that she should love. Most teens will wear sneakers casually so a pair of converse or similar might make an awesome gift. Teens do tend to love Uggs and Ugg style boots which can make a fab gift for the winter months. Accessories are normally fairly easy to buy. Some examples include a wristlet, crossover purse, backpack for school, scarf, hat or gloves or sunglasses. Also consider novelty items such as a onesie or the 16 birthday t-shirt below. Get her a fun t-shirt to celebrate her 16th birthday in style .The t-shirt opposite comes in many different colors and reads “Made in 2000 - 16 years of awesome". It makes a great gift that she can wear on her 16th birthday but also after this as well. It comes in different sizes so there should be a size to fit the girl in question. The design is printed with new age printing technology, direct to garment. It is printed with a water-soluble and eco-friendly ink. An infinity scarf makes a lovely, practical gift around Christmas time and for winter birthdays as well. They will keep her super warm in the cold temperatures. They are easy to wear. Just put it on and don't worry about having to adjust it like you do with other scarves. It can be worn outdoors with a coat but it can also be worn indoors. The infinity scarf featured comes in a wide variety of colors to choose from so there should be something to suite everybody's taste. A great go to gift for teens. Other ideas in this category include texting gloves and hats. Vera Bradley is really popular with teenagers and it's not difficult to see why from the vibrant and colourful print designs. The backpacks come in many different options. ​The backpack featured a padded compartment which carries a 15 inch laptop. It also features a front zip pocket with two open slip pockets, and a second pocket with zip closure. It has padded straps for comfort and a handle at the top for carrying too. So another cute but practical gift is a wristlet. A wristlet will hold her smart phone, ID card, any other cards she carries and money. She can attach it around her wrist. Or attach it to the inside of a bigger bag, so she doesn't have to hunt around at the bottom of a bag looking for essentials. The Owl wristlet featured is a funky design. It has 8 card slots, 3 zipper pockets, 2 note slots and can hold iPhone 6/6 plus, iPhone 7/7 plus, Samsung galaxy s7 edge. It features a front ID window so it’s always ready to show when needed. She can also attach her keys. There are lots of hair accessories and tools that can make fantastic gifts. Ideas include flat irons, hair straightening brushes, hair wavers as well as special hair shampoo, conditioners and treatments. Or you could take her out to have her hair styled at a salon. Also consider simple hair accessories such as hair bands, ties. slides or a brush set. 16 year old girls will very likely be experimenting with their hair and different styles. It creates distinctive waves and is great for experimenting for parties and going out with friends. It features a pate locking switch for easy storage and travel. It heats up quickly and is super easy to use. The waves are bouncy. The waver gives an even heat that penetrates hair from the inside-out. This helps hair retain natural moisture for “frizz-free” styles. This is a great hair tool. It has 16 different heat settings so you an make sure the brush is set at the right temperature for your hair type. If it's very thick it will heat up to 450 ℉, but you can set it at a lower heat for hair that's thinner. ​It gives your hair a smooth and silky look by sealing the hair cuticles- reducing frizziness, split ends, and knotting. It has an auto shut off feature for safety. The heat up time is 60 seconds, so no waiting around for the brush to get hot enough. At 16 years old she may like to accessorize with jewelry. There are some great jewelry items that girls this age will love. Firstly bracelets, there are many bracelets that make great gifts. Charm bracelets or a charm for a bracelet she already has is one idea. Simple sterling silver cuff bracelets are great to dress up outfits but can also be worn as an every day piece too. Pendants or rings that feature her birthstone are another idea. I particularly love jewelry which has an inspirational message. Like the pendant featured below. This is an silver sterling necklace with a perfect message for a sweet 16th birthday. The word “be” is engraved on one charm with the words Kind, Free, True, Brave, Strong, Happy, Thankful, Compassionate" engraved on the other. It’s a simple but lovely charm on the necklace with a fantastic message which will be nice to give a reminder to the wearer when the going may get tough or if she wants to focus on the values that are meaningful in life. This is an adjustable wire bangle charm bracelet. There’is a set of two bangles with a sweet 16 charm attached. The bracelet is adjustable so should be able to fit most sized wrists. It arrives in a 100% recycled gift box, so if perfect to give the girl in question. A perfect gift for a 16th birthday. This is another pendant with an inspirational messages. It's a sterling silver necklace featuring twisted pendant design. It comes with a box chain with spring-ring clasp. It's a beautiful pendant which is excellent for everyday wear. It is a gorgeous message to have at all times to remind to live for in the moment. It also comes in yellow gold flashed sliver if you prefer. 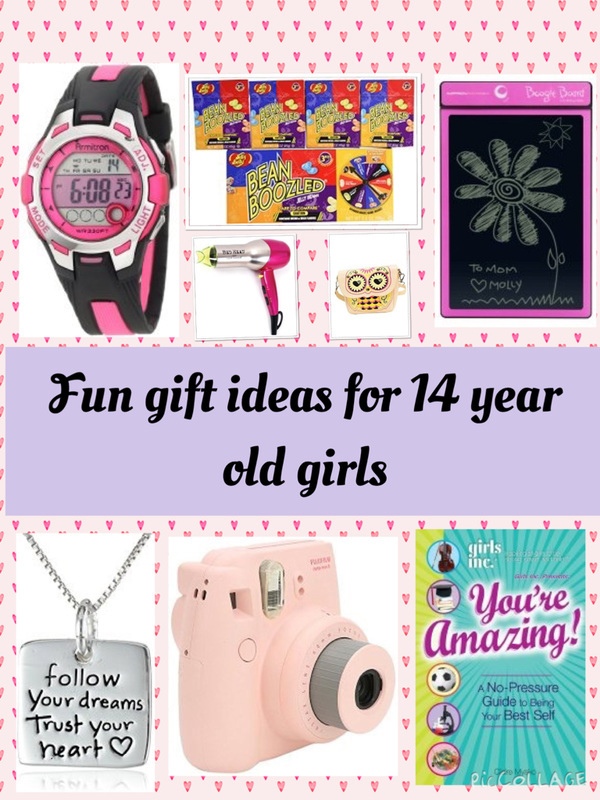 There are lots of fun and awesome books that make perfect gifts as a coming of age present. Check out two ideas below that make amazing gifts. The first book is the 7 habits of highly effective teens which contains life changing advice but it is tailored to help teens deal with the issues that they may face. For example, there is focus on improving self-image, building friendships, resisting peer pressure, achieving their goals, and getting along with their parents, as well as tackle the new challenges of our time, like cyberbullying and social media. It will introduce teen to some amazing concepts which can only serve them in life such as the power of habit, being proactive, finding win-win situations, controlling your own destiny and lots more. There are a few things adults can learn in here too - a good read for everybody. Beauty Rules by Bobbi Brown is so much more than just a beauty book. Aimed at teenagers and young women, this book has lots of advice on eating well, looking after yourself, working on confidence and some general advice on having great life too. It has an emphasis on natural beauty and there are tons of make up tips style secrets, self-esteem boosters, and techniques for perfecting the prettiest hair, eyes, lips, and nails. It's easy to read, there are lots of photos and inspiring makeovers. This is a great go to gift for a teen high school student. There are some really fun, creative and useful ideas and suggestions in here that will make a teen girl's time more productive when she's having a bored moment. Some of the ideas include try a new hairstyle, take a camping trip, redo your bedroom, climb a mountain, watch the sunrise, learn basic car maintenance and lots more. There are a couple of slightly risque ideas in the book but you can read through all the contents over on amazon to make sure it's okay before you purchase. There are lots of fantastic books that make great gifts. To choose the perfect book it’s worth thinking about what her hobbies and interests are. For example, does she enjoy cooking or baking or is it a skill she would like to learn. There are some brilliant cookbooks for teens and if she is planning on heading to college in the next few years, this can be a useful skill to have. Another fab book idea is "Do Your Laundry or You'll Die Alone". It will only be a few more years before a 16 year old is at the age where she may be off to college or ready to look after herself. This book has lots of advice that Moms want to give to their daughters. It's the things they may have told them but they need to hear again to make it stick. Or the things they may have forgotten to mention but would really love them to know. It's a fun read. Dip in and out of it and absorb the wisdom. This book is a must read for teenagers. it is jam packed full of awesome advice which will help them navigate more easily through their teenage years. It's about taking control and dominating your own corner of the world (NOT dominating others but taking responsibility for your own path). It covers lots of areas where teens may encounter challenges such as dating, identity, career, goals, body, friends, parents and lots more. There are lots of electronic and tech gifts that are perfect for this age group. Ideas include wearable technology such as a fitbit activity tracker which will count their steps, distance, calories burned and activity that they do throughout the day. It is a great tool for girls who want to stay fit and active. Or a smartwatch so she can have easy access to texts, e-mails, her calendar and social media updates as well as being able tell the time. Creative types may appreciate a 3D pen, which she can use for crafts, to make jewelry, little models or decorations for her room. Smartphones, laptops, cameras and video cameras such as the Go Pro Hero are all awesome ideas. This is a fun and practical camera which prints out photos instantly. They are polaroid style prints the size of a credit card. They make perfect keepsakes to have in your wallet but are also fantastic for scrapbooking and other creative projects. They are also perfect to have physical memories of events, parties and special occasions. The prints come out speedily and it's nice to be able to print out pictures instantly and they can be kept for yourself or given to family and friends. Not sure whether to get a fitness activity tracker or a smartwatch. Then a pebble time smart watch could be a good compromise. It will sync with her phone and deliver notifications of calls, texts, social network updates and e-mails to her wrist which means she won't have to get her smart phone out of her bag when she's in class, walking or traveling. It also has Pebble Health, a built-in activity and sleep tracker with daily reports and weekly insights. On top of this there is access to over 8000 apps over at the pebble store and it actually tells the time as well. There's also lots of technology she can use in her room. A media streaming player such as Apple TV will give her access to lots of extra TV and music channels in her room. Or what about a sound bar to go with a television to offer excellent sound for movies and music. Accessories for tech she already has is another idea. Think covers and cases for her phone or tablet, a selfie stick or data storage (there is USB jewerly so she can carry her school work around her neck). If they don't have a tablet consider getting them one. Since Amazon have released it's Kindle Fire, a decent tablet doesn't have to cost a lot either. A lipstick sized portable charger is a fab tech accessory for a 16 year old girl. It means she doesn't have to worry if her phone runs out of battery when she is out and about as she always has a back up . It adds over one charge (14 hours talktime) to an iPhone 6, almost one full charge to a Galaxy S6 or one full charge to most other phones. It will give her and her parents peace of mind that she can keep in touch when she's away from home. The Amazon Fire Stick wtih Voice Remote will allow her to have access to lots of extra TV, movie and music channels including Netflix, Amazon video as well as free services such as Youtube. But the best thing about the fire stick is the voice remote. Ask to watch your favorite show, play a specific song and even order pizza and the voice remote will put your command into action immediately. This is also a good gift to take to college in a couple of years. She can plug the fire stick into any television and she can pick up her shows where she left off. Perfect for travel or whenever she is away from home. If she enjoys listening to music, this can make buying a gift very easy. Firstly itunes vouchers or money are always appreciated so she can buy the music that she loves to listen to. If she likes a particular band or artist, is it an option to buy tickets to see them play live. Many artists and bands also have a lot of merchandise such as calendars, DVDs, t-shirts, bookss and posters. This is a cool gift for the music fan. It’s a speaker which can be used in the shower or anywhere in the bathroom so she can listen to her music while shes getting ready for school or to see her friends. The speaker can also be used by the pool. The speaker is small and lightweight so is easy to transport when she’s out and about whether that be to friend’s houses, camping or hiking. It also makes it easy to transport around the house to different rooms. It connects via bluetooth to your smartphone or other device. A fab gift for the girl that likes to sing whether that be on her own or with friends. It's a wireless microphone that you connect to a phone or device via bluetooth. The music and your singing comes out of the microphone's speaker. You can use with youtube as there are lots of karaoke videos with singing and music to try out. The Amazon Echo is a great speaker for a teen girl's bedroom but it offers a whole lot more too. Just ask for a song, artist, or genre from Amazon Music, Spotify, Pandora, and more and it will find and play it. She can call or message anyone hands-free with your Echo device. And she can ask Alexa to check her calendar, the weather, traffic, and sports scores as well as manage to-do and shopping lists, Great for organizing herself. She can also use it to set her alarm for the morning. There are timers. she can ask questions and if she has them control smart home devices too. The Amazon Echo Dot is just like the Echo except the speaker isn't as powerful, it's smaller and it's cheaper. It will do everything they Echo does. She can check her calendar, set timeres and alarms, ask questions, check the weather, manage to do lists and lots more. She can connect it to a bigger speaker for more powerful sound if she wants to listen to her music. She can also ask for a song, artist or genre from music providers such as spotify and Amazon music. A great little gift. The future is here! If she is a driver this is a really useful gift for teens who drive. It covers lots of driving eventualities and things she will need to know if they occur. For example, what should she do if she breaks down or has an accident. How should she drive down country lanes? What should she do if she faces pressure when driving from friends. It also covers the basics of driving with lots of practical advice, tips and useful information to help her when she is behind the wheel.